From "The Four-Legged Girl" to "The Dog-Faced Boy," here are some of the strangest behind-the-scenes "freak show" tales. 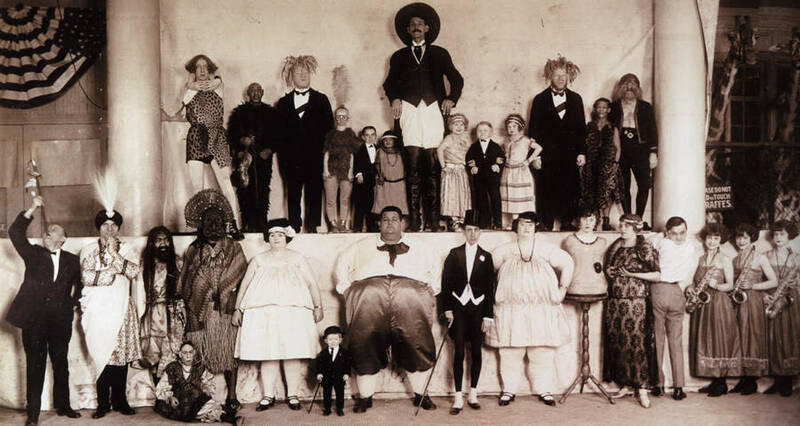 Though often thought of as exploitative, degrading, and cruel, most reports paint a picture of headlining “freaks” being both accepted and well-paid by the circus staff. In many cases, the performers not only out-earned everyone in the audience but also their own promoters. Any mistreatment generally came from the public who did not look at the performers as people. 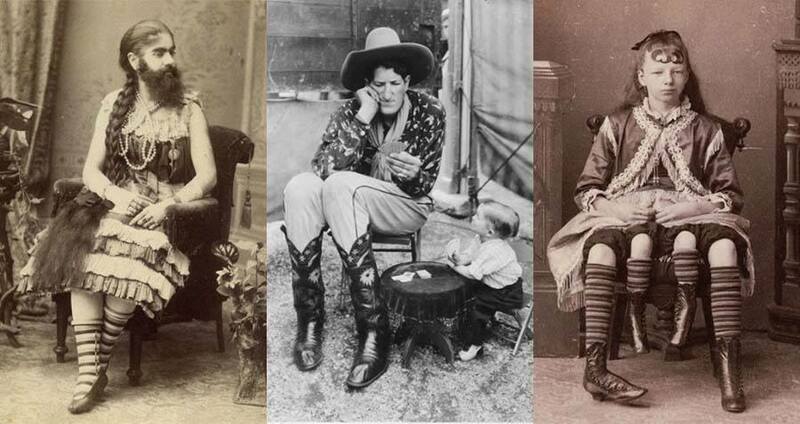 Sideshow acts were not always born different; sometimes they were “manufactured” to bring in money from the crowds. 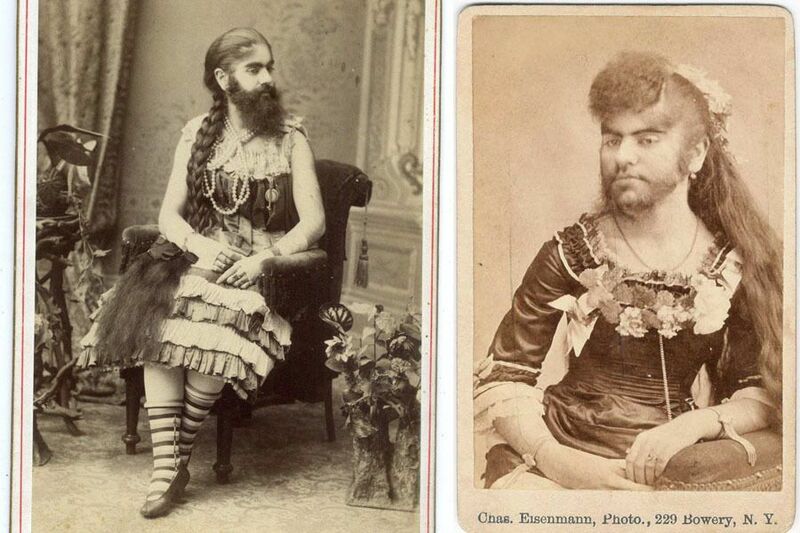 One of history’s most recognized freak show performers, Annie Jones’ career as a sideshow attraction began when she was featured at P.T. Barnum’s American Museum at age one. After a short (but very successful) stint at the museum, Barnum offered Jones’ parents a three-year contract for the girl at $150 week. While under the care of Barnum’s appointed nanny, Jones was kidnapped by a New York phrenologist who attempted to exhibit Jones in his own sideshow. She was found quickly in upstate New York where the phrenologist claimed Jones to be his child. When the matter went to court, Jones ran into the arms of her parents. The judge called the case closed, and Jones’ mom remained close to her daughter for the rest of her career. Jones — whose genetic condition that caused excessive amounts of hair remains unknown to this day — would become as well known for her musical skills as her bearded face. Outside the circus, Jones was married twice — the second time widowed — before becoming ill during a visit to her mother’s home in Brooklyn. There, she passed away from tuberculosis, in 1902, at the age of 37.